Had a privileged time sharing the podium with Dr. Paul Homoly, Dr. Todd Ehrlich, and Dr Russel Giordano. 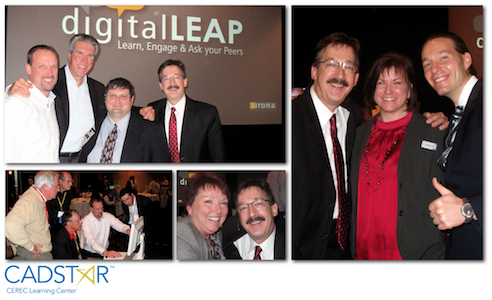 This was the debut digitalLEAP event orchestrated by Sirona’s Milos Gedosev and Jennifer Kist. Thanks to the Patterson personnel, Grethe Bullard (Charlotte CEREC Specialist), and Sirona for an exceptional event.